Sound Galleries SGM 2015. It's a system and we loved our time with it! That's the conclusion and we would like to take you with us on the path to said conclusion. We have known Geoffrey Armstrong of Monaco's Sound Galleries dealer/distributorship for quite a while. He caters to a specific clientele in the famed principality of Southern France. That clientele is not into audio exotics or audio adventures. No, the people who Geoff caters to want great sound from solid brands and top-rank continuous service. Solid brands with great sound are available in the market and Geoff has carefully assembled a catalogue of cables, electronics and speakers to support his audience. Service is very personal and contingent on trust between client and supplier and vice versa. With a background in computer sciences, Geoff was interested in computer audio from an early start. He experimented with various hardware platforms and software players but was never satisfied with the end result. Either the hardware was unstable, too nerdy for normal use or plain too exotic. Ditto software players. For most the user has to be a semi-pro programmer to get decent sound from the software and the interaction with the hardware—PC and DAC—is often problematic. There is support for the hardware and software options but that lives in forums and user groups; which means hours of being glued to the Internet and frustration because discussions skid off topic within three posts. There ought to be an alternative for those who want all the benefits of computer-based audio, near plug-and-play installation, service and of course the best sound possible. At least so Geoff insisted. A first glimpse of hope arrived when a Dutch company introduced their super-duper PC-based network player. With exclusively passive cooling, high-grade components, ultra-precision clocks, multiple over-specified power supplies and JRiver as player software atop Windows 8 via solid-state disk: could this be the solution Geoff was looking for? 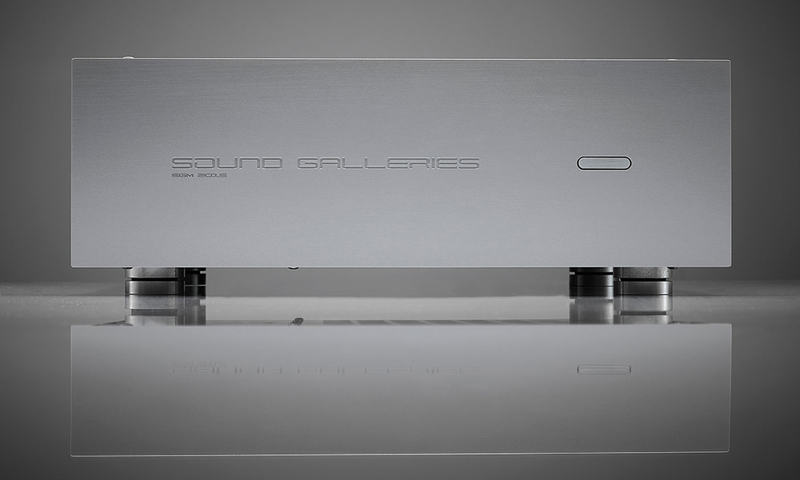 After intense deliberation, testing and above all listening, Sound Galleries chose a still different route. They would design their very own PC-based network player. Easier said than done. The market has a plethora of PC hardware. Where to begin? No doubt the player should be fully 'passive', without a single moving part: no fans, no spinning disks. Next, it should have the very best most stable power supplies possible just as the best clock to sync everything. With these requirements, the SGM team now up to three collaborators went from breadboard to breadboard prototype. It appeared to them that American OXCO oscillators were the best sounding clocks on the market so they form part of the circuit. Next, it appeared that the brand and type of DIMM, the actual memory module, made a sonic difference just as it did how such DIMM is cooled with a heat sink which doubles as vibration damping. The team consisting of Geoffrey Armstrong, Edward Hsu and Emile Bok went over many hardware iterations but remained consistent in their preference for HQPlayer as player software. This program written and maintained by Jussi Laako is probably the most elaborate player currently available and able to natively upsample any incoming signal up to DSD512. 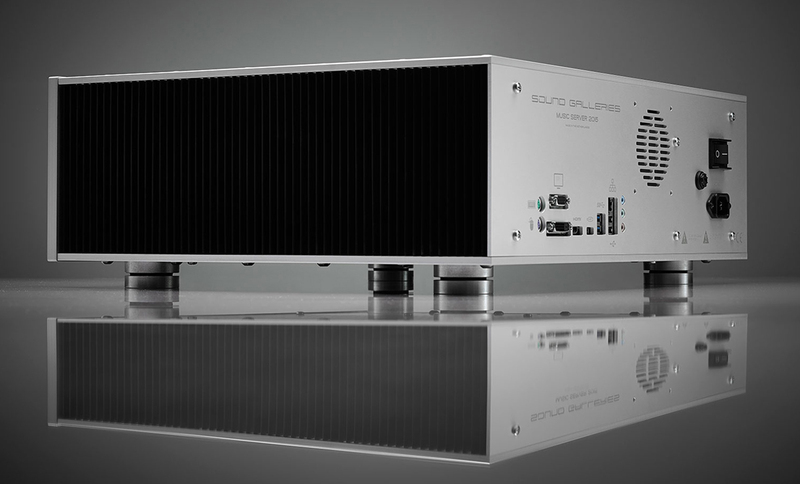 In all their listening, the team was convinced that DSD512 was the best sounding output from their emerging player. Of course how DSD512 is processed next is just as crucial. The DAC commissioned to work with the player should handle DSD512 per se and not convert it to PCM as many do. The hardware developed into a single box with just two switches and no need for a keyboard or screen. Once configured—more on this later—one button starts the machine and it's ready to play after a few seconds. The quality and friendliness of the user interface is crucial to the success of any player. So what is the friendliest interface currently to market? iTunes? Roon? iTunes is proprietary to Apple's operating system and philosophy. Roon too is proprietary but runs on Windows, Mac OSX, Linux and even NAS storage. That's for the server part. The client side runs on IOS and Android so telephones and tablets of all kind can provide the interface. Thus the choice for a Roon interface was easy, the more so that Roon was fully designed with the average user not computer nerd in mind.